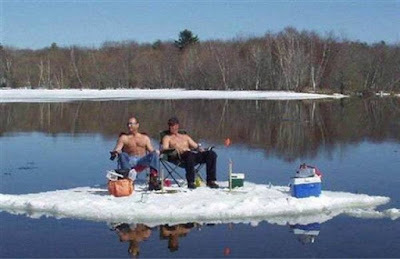 Ice fishing in Indiana. It sometimes looks like the picture above. Even though I do not know anyone in that picture, we know weather in Indiana changes everyday. 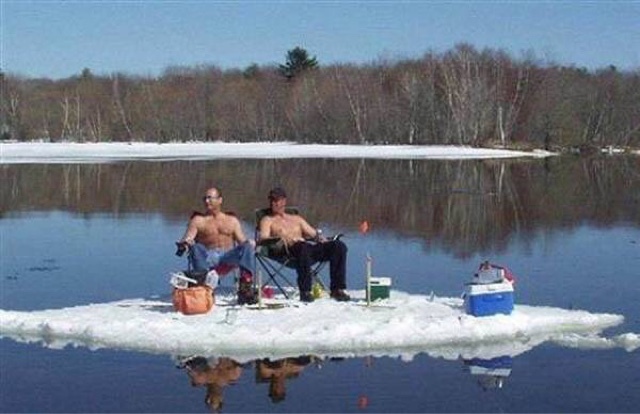 Sometimes you are the only guy left out there ice fishing. If it's warm enough to go without your shirt, you probably shouldn't be on the ice! As a mom, ice fishing makes me nervous. So does any other activity! If you are a mom, you understand! Look, hun. Everything is going fine! Line is in, everyone is happy. The boy has found his favorite spot. 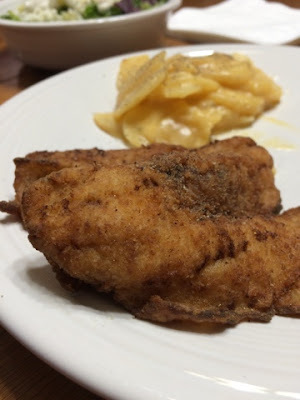 Nothing is better than fresh bluegill dinner. Macie even went out one evening to go catch a few with dad. 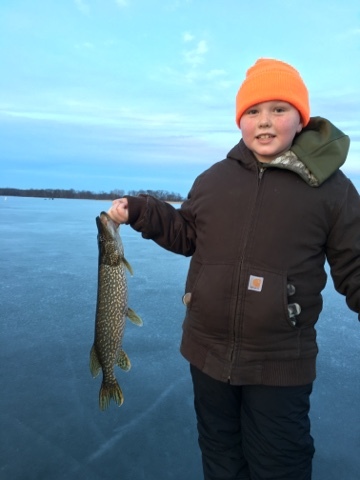 Ryan even caught a couple Northern Pike at the Willow Slough Lake. Some fishermen call this Poor Man's Lobster. Tastes good, it is a challenge removing all of the rib bones. 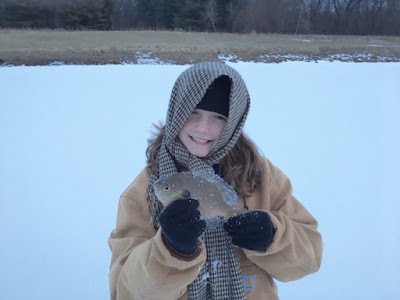 Fresh fish is my farmer's favorite meal, in the summertime or during the winter. 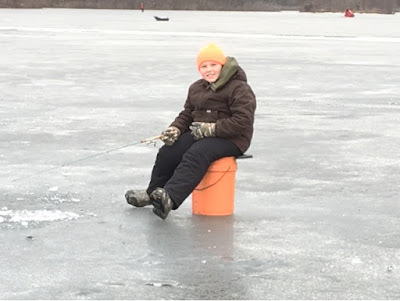 Fishing is one of his favorite hobbies. Taking the kids is an extra treat!! We recommend soaking your fish in water after you have skinned the fish. 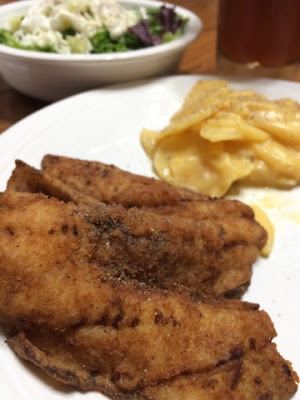 The night before you are ready to fry the fish, drain the water, and cover the fish with milk. Preheat oven to 200 degrees to keep you fish warm while frying all your fish. Fill oil in your Fry Daddy Deep Fryer to the fill line. Plug in and preheat. Prepare your fish. Remove fish from milk, set on paper towels. You can use the baggie supplied in the Shore lunch mix, or use a gallon size zip loc bag and put in one pouch of mix. Add a couple pieces of fish at at time and shake. Add to separate plate to get ready to fry. When your oil is hot, start adding a couple pieces of fish to the fryer. Keep a good eye on it, and when it's golden brown, remove and let rest on a pyrex pan with paper towels. You can add the pan to the oven if you desire to keep the fish warm if you have a big batch. Thanks for stopping by! The boys love fishing, can't wait for it to warm up and get the boat out! Victoria, Thank you for your comments! Have a great day! 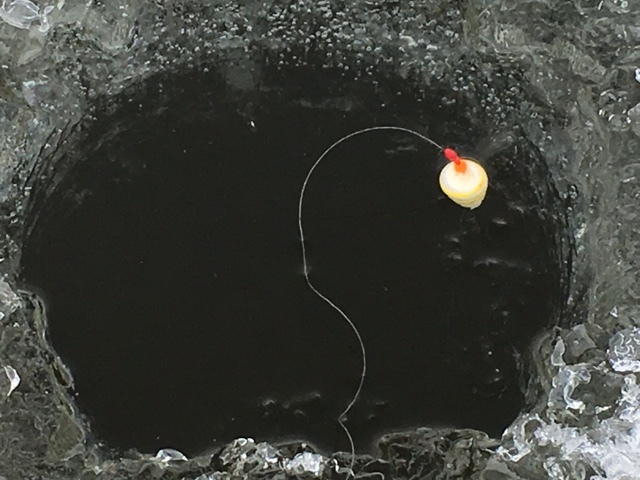 If you like ice fishing for trout these strategies need to be added to your ice fishing repertoire. 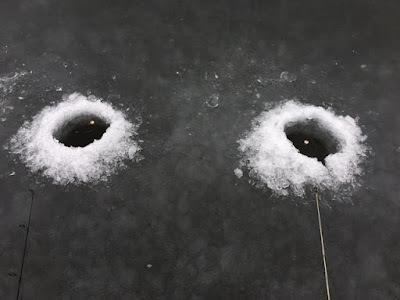 Great ice fishing tips and/or techniques. There are many professionals fish hunter who is recommending us this https://www.buyfishingguide.com/kastking-reels-review/ for buying the best fishing equipment for the fish caught because they know that this place always provides the best fishing equipment for the fish hunting. I m really happy to read your article.it's a wonderful opportunity to know the info you gave. good work you had done in this,thanks for sharing this with us.eagerly i m waiting to know more about it. I really like the fresh perpective you did on the issue about this SEO Services Near Me topic. I will be back soon to check up on new posts! Thank you! When website designing a new website very easy to have a colour that you "think" you're attracting people to the site. Colour of a site is very important. web design development Karachi is very much like your shop window, so thought and strategy need to put into as well as the user journey.